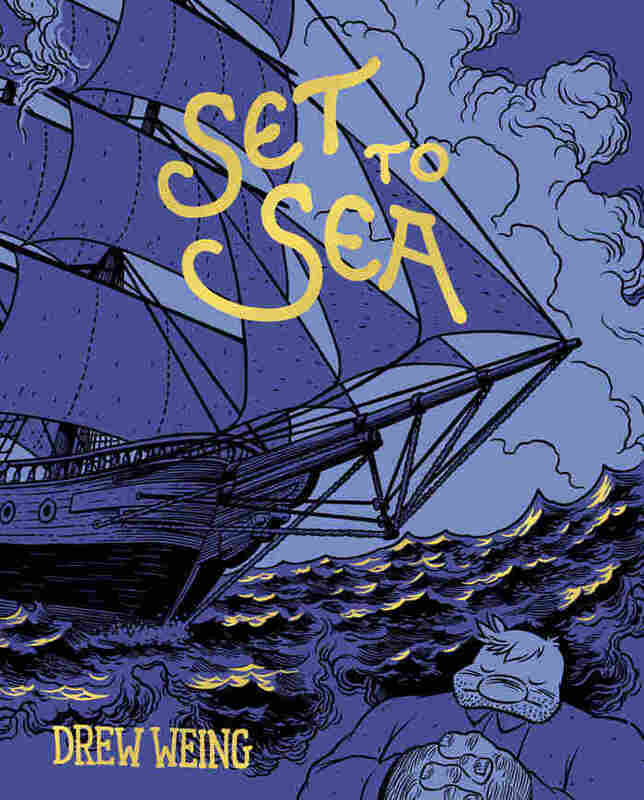 Comics Courageous: The Splendid, Salt-Sprayed Adventure of 'Set to Sea' The graphic novel 'Set to Sea': Rollicking high-seas adventure. Pirate attacks. Exotic ports of call. Derring-do. Gorgeous art. What are you waiting for? 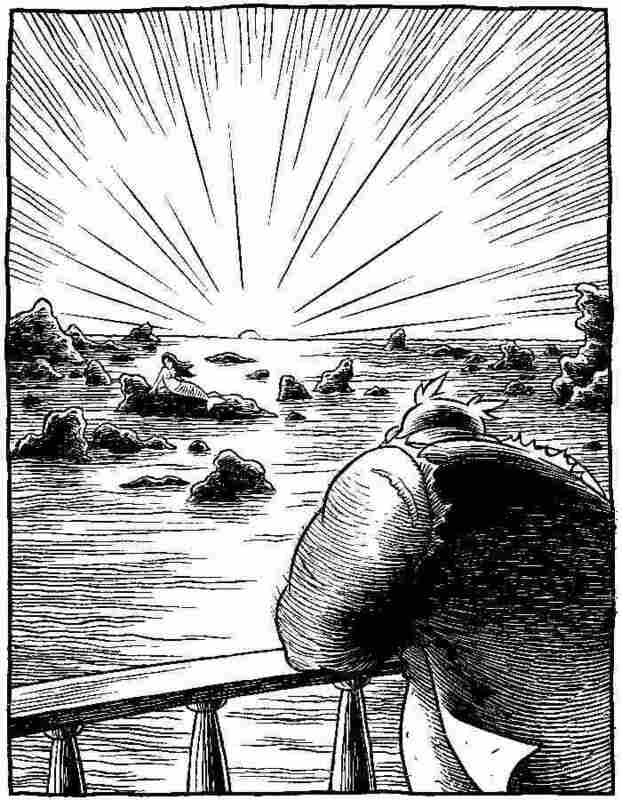 Creator Drew Weing constructs his debut graphic novel Set to Sea entirely of full-page, black-and-white panels -- 140 of 'em, to be specific -- and the tale they tell unfolds with the lulling, implacable rhythm of the sea. The book contains very little dialogue, so it's Weing's images themselves that do the narrative work. And they're a singular mix: in the foreground, bright, cartoony figures that look like they're moonlighting from an E.C. 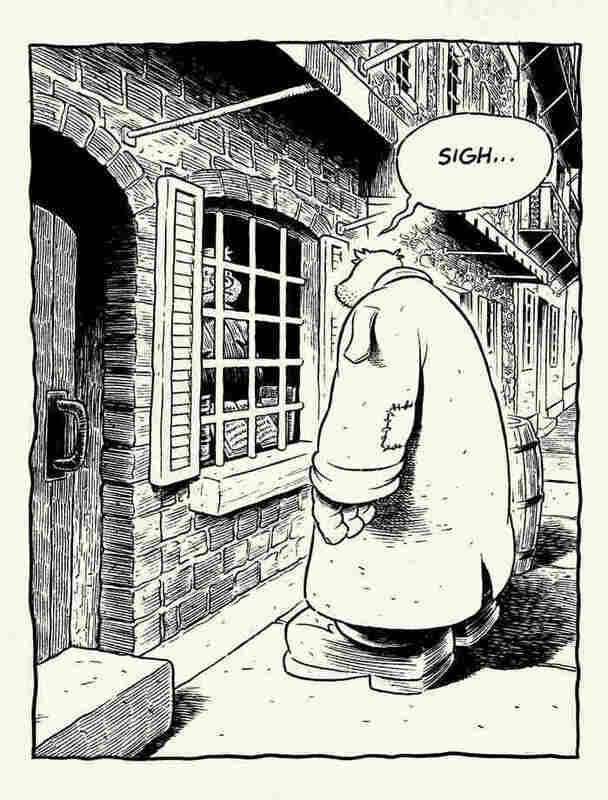 Segar Popeye comic strip; in the background, densely crosshatched, painstakingly detailed seascapes. The story riffs on Boys' Own tales of high maritime adventure like Treasure Island and -- especially -- Captains Courageous: We meet our lumbering, potato-nosed, landlubber hero as he's getting kicked out of a pub. And if that weren't bad enough, his repeated attempts to craft soul-stirring verse about life on the high seas only result in stilted, purple-tinged poesy. 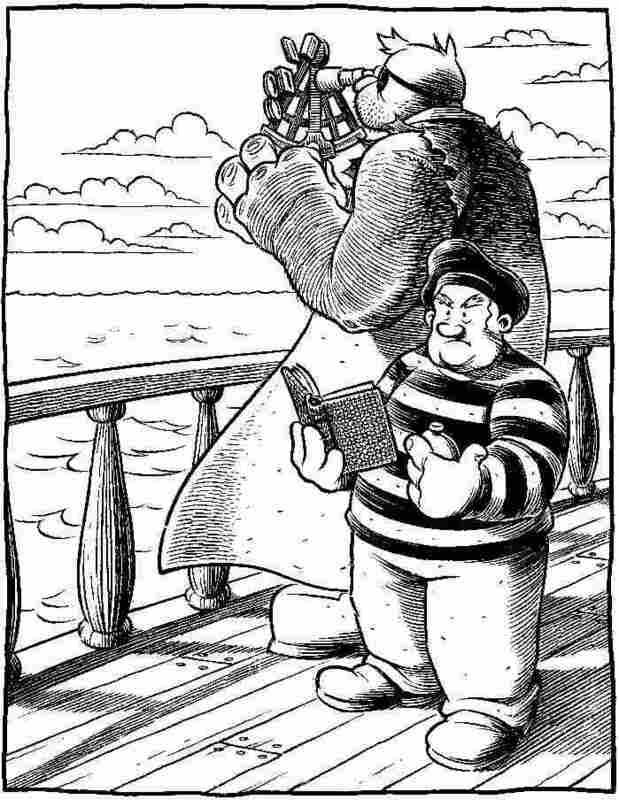 Of course, if a dose of verisimilitude is what your maritime poetry is lacking, getting shanghaied will do the trick better than any MFA program. Thus our hero awakes to find himself crewing a clipper bound for exotic ports of call. As Set to Sea proceeds, he will befriend his fellow crewmen, fight pirates and gradually become the man -- and the poet -- he always wished to be. Set to Sea's one-panel-per-page layout lets Weing's visual storytelling shine, but only if you resist the urge to tear through the pages quickly. Go too fast, and you'll miss the touching, wordless way Weing communicates the death of a supporting character. Or, worse, you'll skim over a gorgeous arctic sunset clearly inspired by the Gustave Dore engravings for Coleridge's Rime of the Ancient Mariner. Want a sneak peek? Weing has put the individual panels on his website.